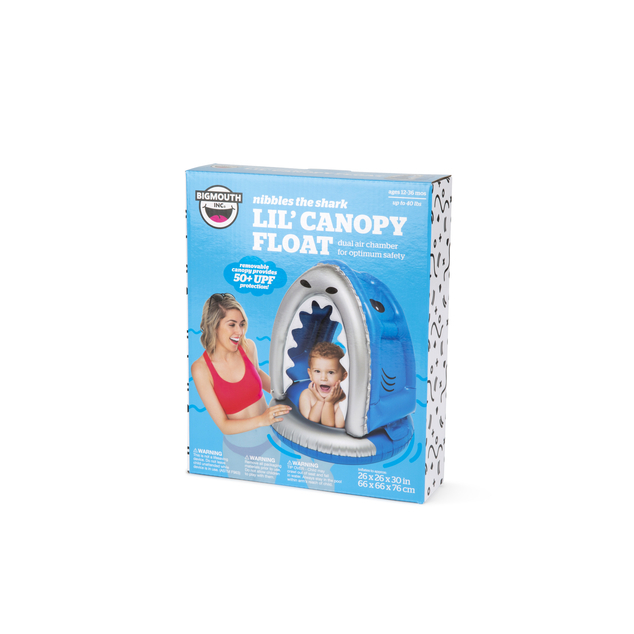 Your little one is ready to have a jaw-some summer! Our new Lil’ Float lineup lets you pass down the BigMouth summer tradition to a new generation. Until now, inflatables for your mini-me have been dull, boring, and well kinda ugly. We assume your little one follows in your footsteps—big personality with an appetite for laughs. 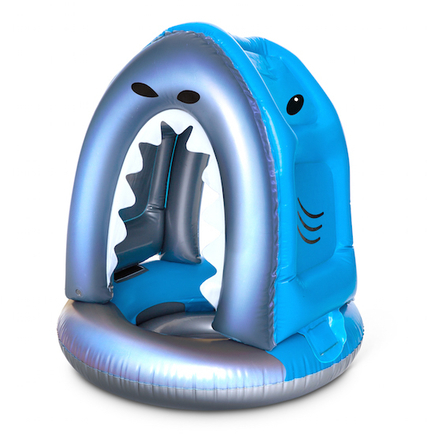 So we started a new pool float line based around our safest design and let our imaginations finish the job.The Shark Canopy Lil’ Float is dual-chambered for stability, featuring a secure & comfy seat with openings for your little one’s legs. 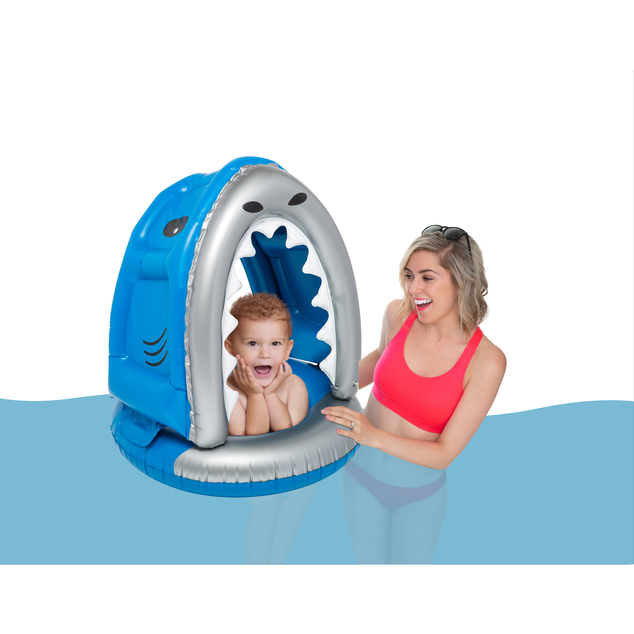 They’ll appreciate the comfort and freedom to kick their legs with excitement as you cool off in the pool together.